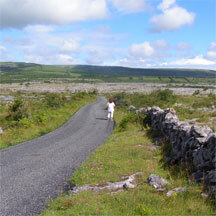 The Céifin Centre is a small organisation with a nationwide focus, based in Shannon, Co. Clare. The Centre was founded by Fr. Harry Bohan in 1998. It evolved from practical experience of developing communities across Ireland in an effort to counter the growth of cities. Céifin derives its name from Ceibhfhionn, the Celtic Goddess of Inspiration. How do we identify what is important to us? What is our understanding of these values? How do we as individuals or as organisations affect the lives of other people? What practices or policies bring values to life? Céifin's main aim is to generate the capacity for debate on social change issues. It does this through facilitating a number of activities and programmes including conferences, lectures, workshops and research projects. Further information on these initiatives is available on this website. The mission of The Céifin Centre for Values-led Change is to identify and nurture principles of enduring value, and to foster their embedding in all aspects of life, in order that the opportunities of local and global change can be embraced to preserve our rich heritage for future generations and to create a caring, participative society. Furthermore it will assist in the search for values that contribute to balance in people’s lives. Copyright © 2006 Ceifin. All Rights Reserved. Website Design by acton|bv.